Since the installation of AdvantageNFP Fundraiser in April 2011, Shirley has not looked back and explains, “AdvantageNFP Fundraiser has saved me so much time and has enabled us to communicate more efficiently & effectively with our supporters. Knowing that their fundraising database is their single biggest asset they decided to invest in understanding its potential. It was time to get to know their supporters better and identify individuals that have the capacity to give significant donations. St. Clare’s Hospice has recently started using the SMS Text Messaging function in AdvantageNFP fundraising database, to inform supporters that registration for an event is now open. Tring Park had a limited ticketing system that needed updating to record customers and identify potential fundraising opportunites. In 2009, Tring Park selected AdvantageNFP fundraising CRM software for its integrated CRM, Fundraising database and Ticketed Event Management product, the Box Office. InterAct Reading Service has been an AdvantageNFP Fundraiser customer since 2006 using the fundraising CRM software. InterAct Reading mainly uses social media sites to promote events and competitions and raise awareness of the charity’s work. It also enables InterAct Reading to thank supporters and donors publicly. “Back in 2007 we didn’t have a fundraising database; we had myriad contacts effectively on Microsoft Excel and Access lists” admits Geoff Sweeney, Development Director of BRB. WDM recently launched a social media campaign. 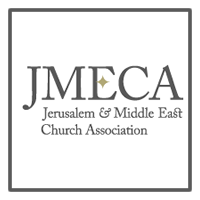 “We developed a PR strategy that included bloggers and political websites as well as traditional media. We also did some additional fun things on Twitter, like creating a 'Twitter storm'. In terms of fundraising, the campaign generated 250 new regular donors for WDM in AdvantageNFP Fundraiser CRM. 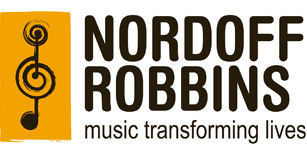 Nordoff Robbins has been an AdvantageNFP Fundraiser customer with Redbourn Business Systems since 2007 using the fundraising CRM software. Since developing a new social media strategy just under a year ago, Nordoff Robbins has seen their Twitter followers increase by over 375% and some positive and exciting engagement through Facebook. This has helped the charity reach a new audience. Find Your Feet has been an AdvantageNFP Fundraiser customer since 2002 using the fundraising CRM software. 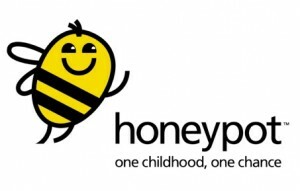 Honeypot has been an AdvantageNFP Fundraiser customer with Redbourn Business Systems since 2006 using the fundraising CRM software. "Honeypot's social media strategy gives us a platform to interact with our supporters and engage them in ways we can’t through other channels..." explains Laurence Byrne.